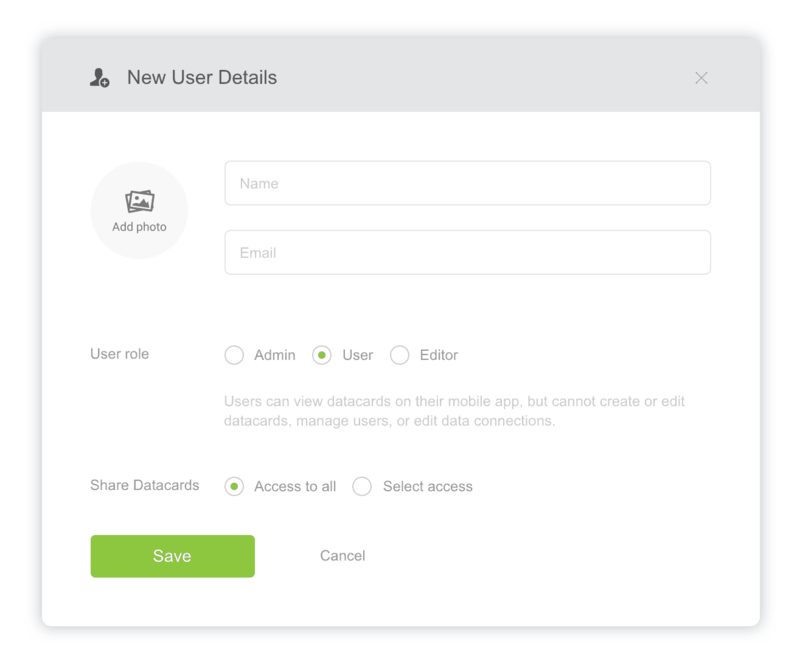 Next click on " + New user" to specify the new user’s basic details and access permissions. You’ll be required to provide the user’s name, email address, role and which datacards he is allowed to access. Adding a photo is optional, but highly recommended. 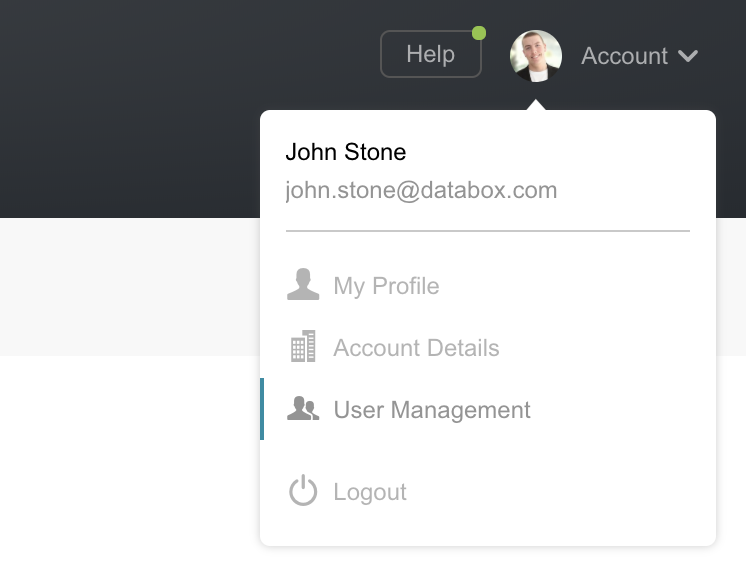 All invitees will get an email invitation with their username and password and will need to accept the invitation to start using Databox. 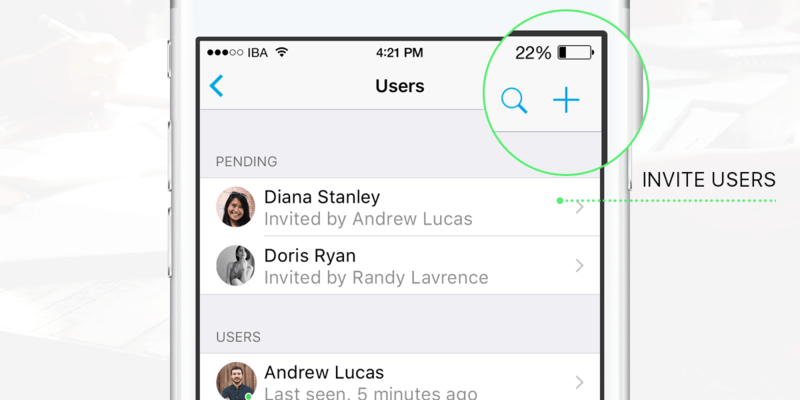 Tap on the “+” icon in the upper-right corner to specify the new user’s basic details and access permissions. All invitees will get an email invitation with their username and password, and will need to accept the invitation, download the app and sign in to start using Databox.